I have a few questions about the NI 6583 DDR Connector CLIP. Perhaps "U32" is a typo? I assume "U32" should be "U16" in the figure. Could you please verify these are typos and my corrections are correct? My application will be internally clocked at 150MHz for asynchronous acquisition at the maximum DDR rate of 300MHz. I need to know which edge will be sampled first? 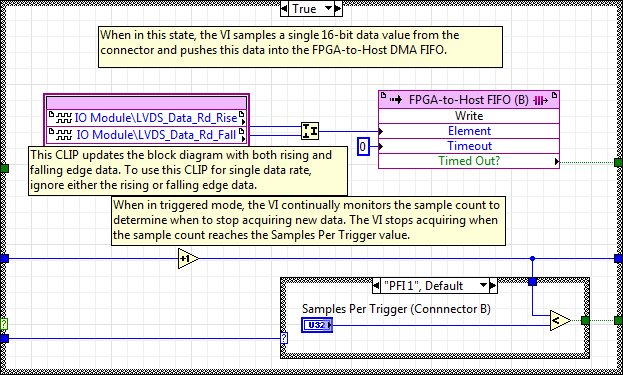 Do I have to build something into the LabVIEW application to enforce a sampling order so the data gets packed and unpacked correctly? 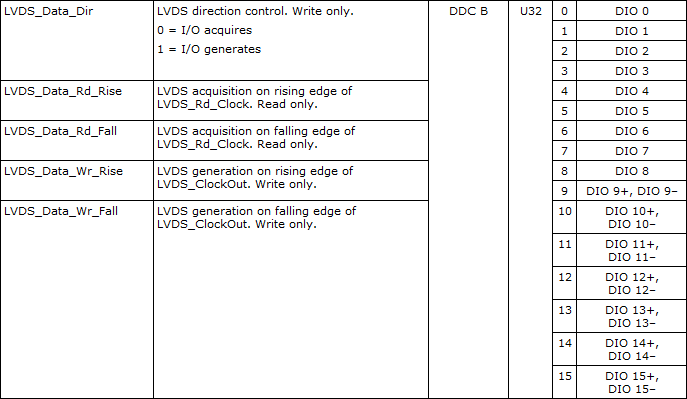 When I look at the LabVIEW 2011/RIO 12.0 shipping example, the order is implied as Rising/Falling. Perhaps this is handled under the hood in the CLIP? 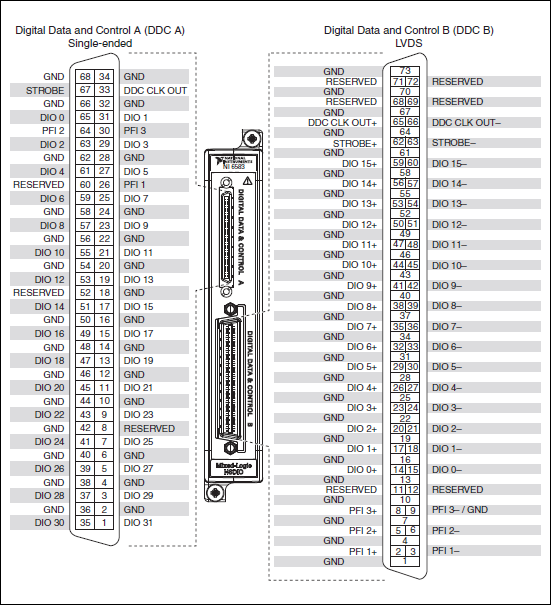 Another thing I'm scratching my head about is the TI datasheet for the SN65LVDM180 lists the "Maximum Recommended Operating Speed" of the chip as 150 Mbps in Rx-only mode, yet both the CLIP and the constraints seem to support double that rate. Can someone please help me understand this? For anyone who cares, yes, they're all typos in the documentation, the rising edge is sampled first, and NI swears by the data rates in their specs. Reference Service Request 7372926 if you need it in writing. The errors in the documentation have been filed under Corrective Action Request #387771 and we will look to change what it says moving forward in the future. We apologize for the inconvenience and thank you for bringing that to our attention. The clocking specification that you mentioned was a change that was made after the release of the part, by TI. We were aware of this change and retested the new revision and found that it still operates at the speeds we originally used it at, despite the derating of the chip. I hope the assistance you received on your service request has helped you move forward with your application. Thank you for your responses. Thanks for your help along the way Kyle. I was posting to close the loop in case anyone needed the same information.